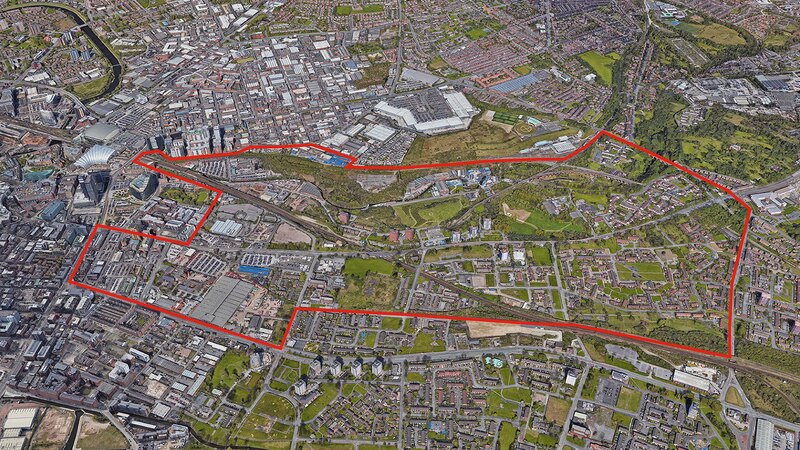 International design and architecture practice, Farrells, has been appointed to masterplan the Northern Gateway in Manchester. A pioneering investment partnership between developer Far East Consortium (FEC) and Manchester City Council, the scheme will provide more than 10,000 new homes across northern Manchester over the next decade. The selection of Farrells reflects the strategic importance of the landmark scheme which is set to generate more than £1 billion of investment over the next decade. This is due to be achieved by unlocking the residential development potential of more than 300 acres of land north of Victoria station, through the neighbourhoods of New Cross, Lower Irk Valley and Collyhurst. Farrells will place an emphasis on design quality, sustainability, open space, reactivating the vicinity of the River Irk, and enhancing public transport infrastructure which will include green walking trails and cycling routes. In doing so, Northern Gateway will allow Manchester city centre to expand northwards by providing an optimal mix of high-quality housing in well-planned new areas. The over-arching vision of the scheme is to create a series of distinct yet clearly connected communities. This approach will maximise the area’s hidden and often ignored natural resources as well as its prime location close to Manchester city centre. Masterplanners from Farrells will join the FEC team at its new project office in the Northern Assurance Buildings overlooking Albert Square in central Manchester. FEC is playing a major role in the transformation of northern Manchester and recently launched MeadowSide, a landmark scheme of 756 apartments, penthouses and townhouses bordering Angel Meadow Park, Manchester’s largest green space and part of the 20-acre NOMA neighbourhood north of the city centre.